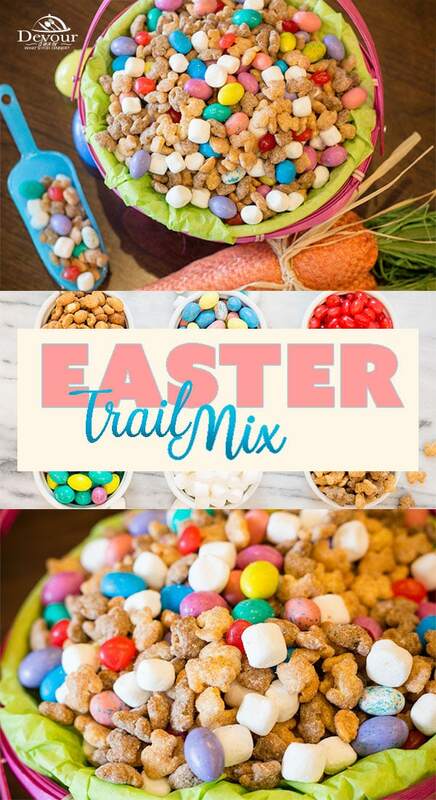 Aside from the religious aspects of Easter, I’m all about the snacks and treats and chocolate surrounding Easter which is why this Easter Trail Mix is perfect for a quick and easy snack to curb your sweet and salty appetite. 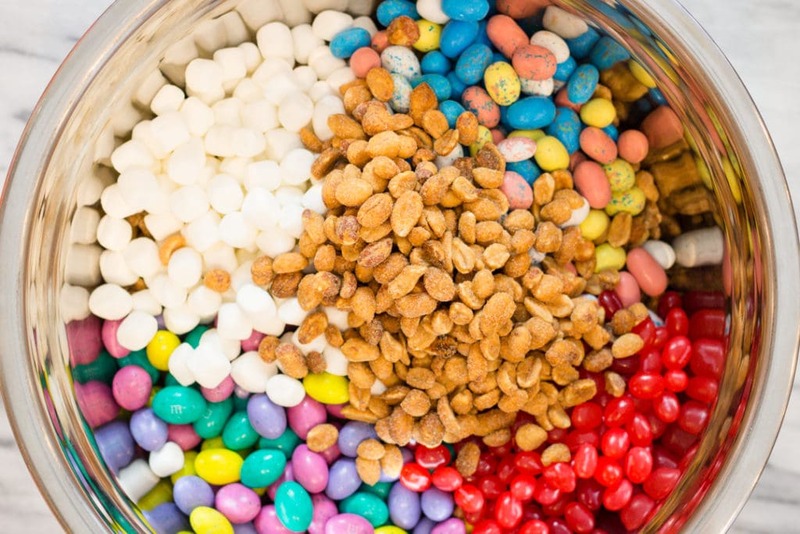 Trail Mixes generally have a number of things in them and when making a good trail mix it’s important to have flavors that you love. I really enjoy a good Trail Mix with a cereal crunch along with nuts and even a pretzel or two as in this Halloween Chex Mix. But most importantly I love some chocolate! 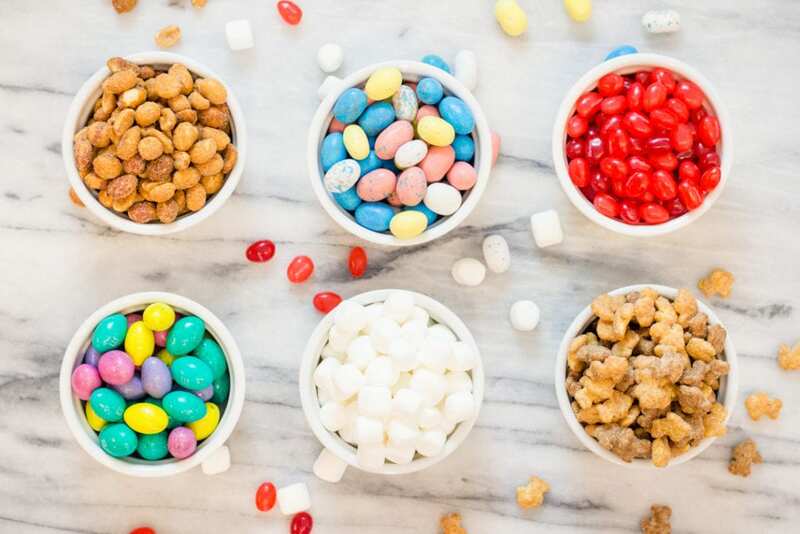 Easter Trail Mix is loaded with your favorite treats from mini whoppers, to Peanut Butter M&M’s and let’s not forget a Mini Marshmallow too. Delish! 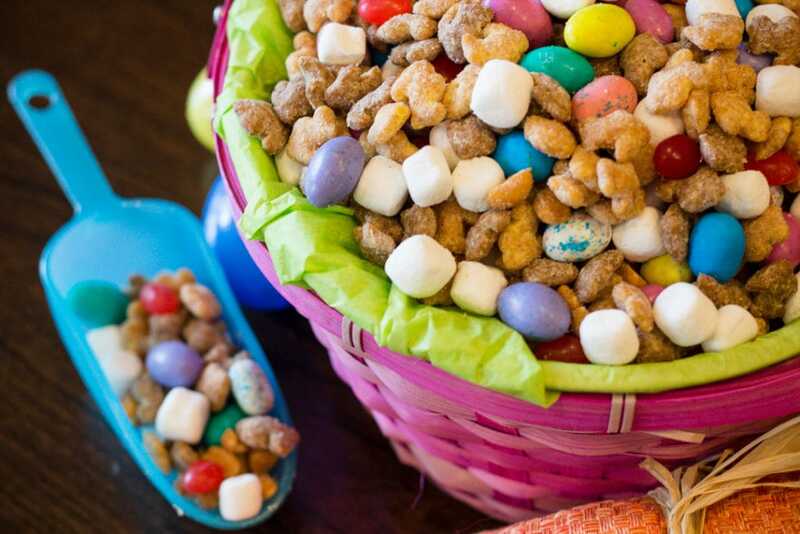 Easter Trail Mix is best served in hand held cups to snack and enjoy. 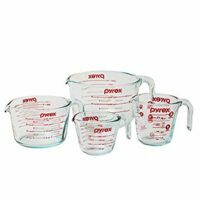 Get yourself a large bowl and measure our your cereal. 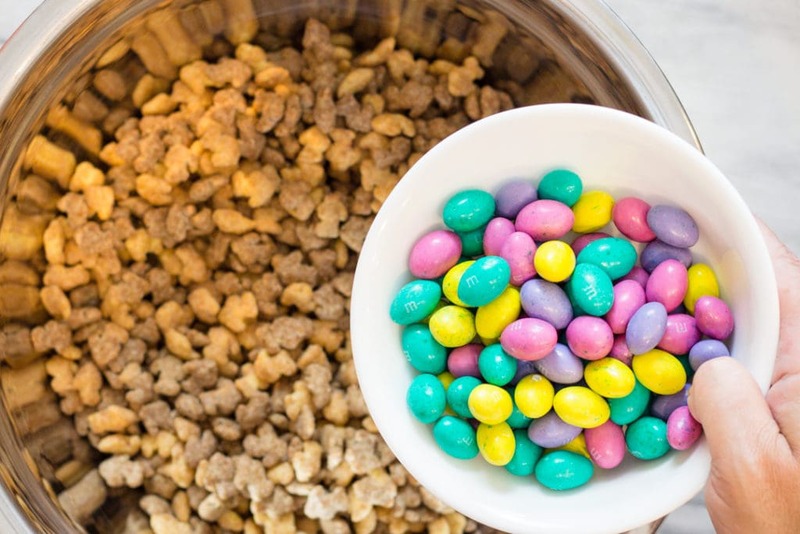 We love the Reeces made this fun Puff cereal in the shapes of rabbits. 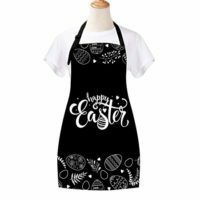 So cute, don’t you think? 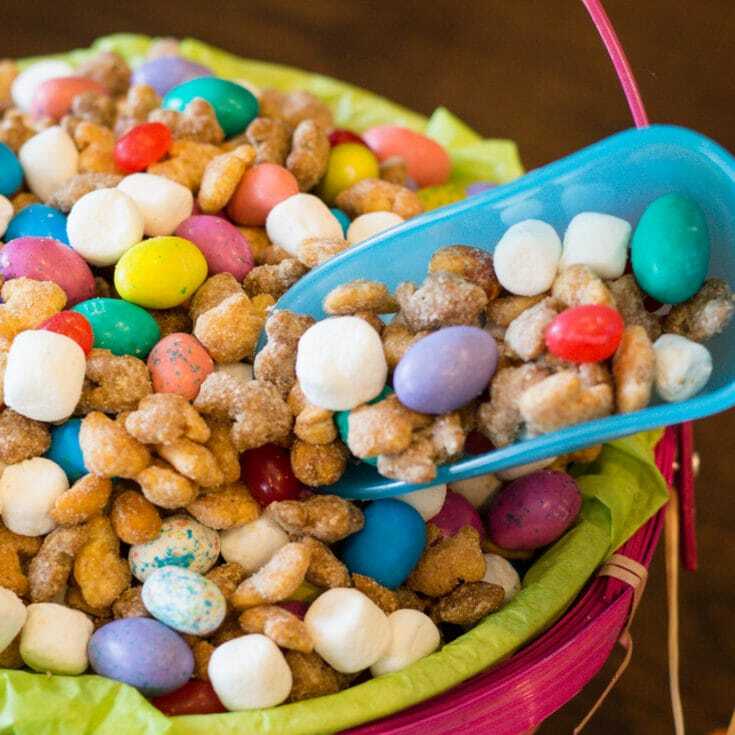 Then measure out the mini whoppers, Peanut Butter M&M’s, Mini Marshmallows, nuts and whatever else you choose to toss into this mix and give it a good stir. That’s it! You are done! Are Trail Mix Gluten Free? How Long does Trail Mix Last? 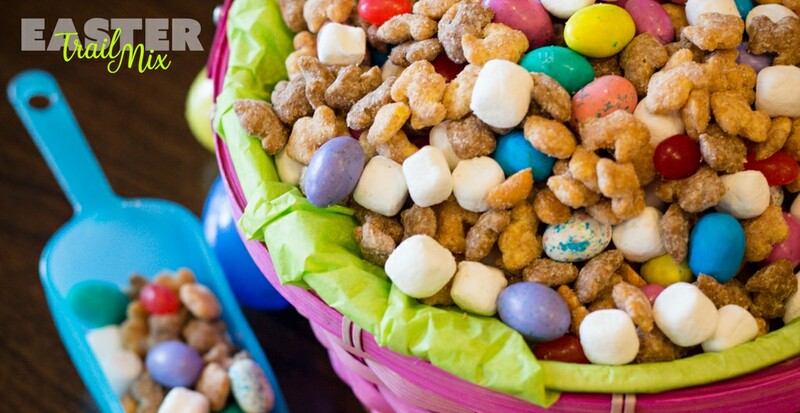 It’s doubtful this Easter Trail Mix will last more than a day or two because it’s so good. 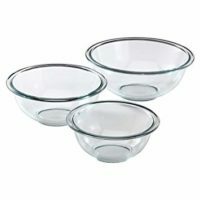 But rest assured that should it last longer in your home it will be safe to eat for a couple of weeks. How Much Trail Mix per Person? 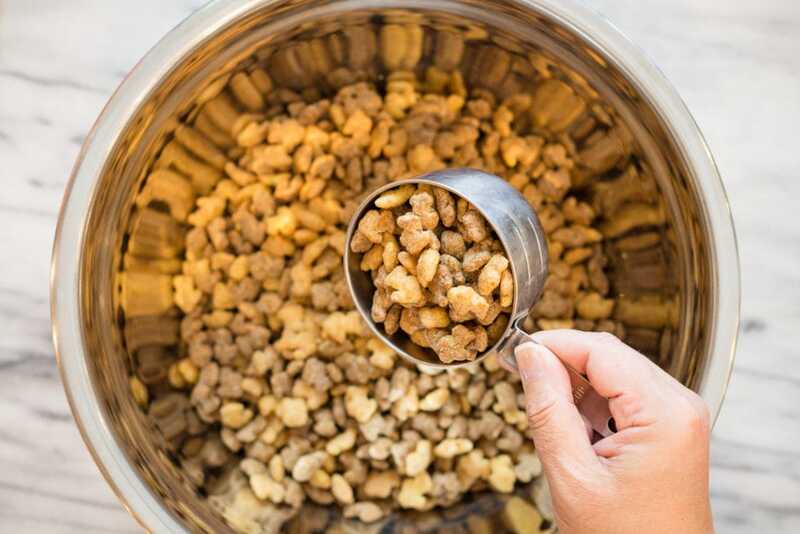 Are Trail Mix Nuts good For you? Nuts are good for you in moderation. 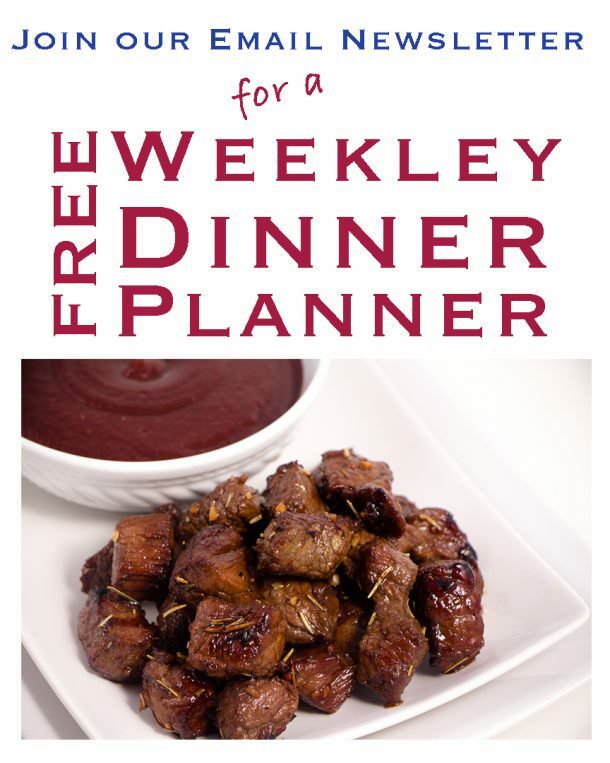 Don’t over indulge but enjoy them in this recipe. Aren’t they good? 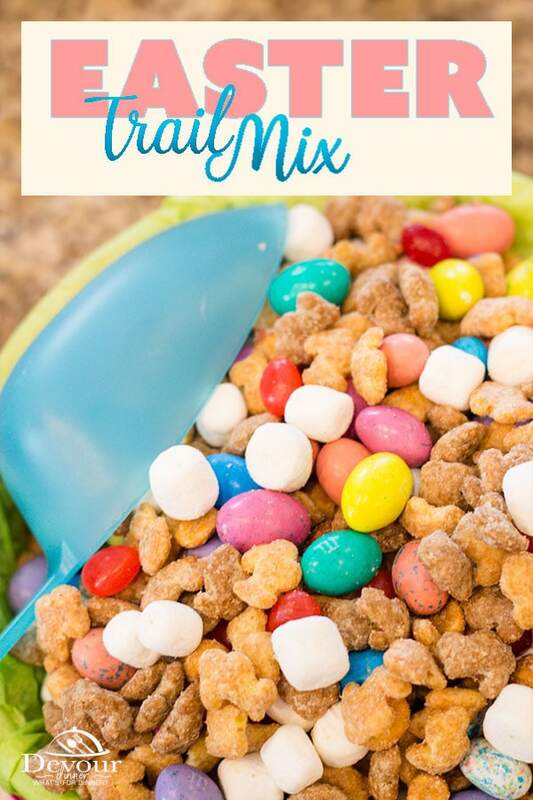 This recipe for Easter Trail Mix might be easy enough, but don’t forget to PIN it and SAVE for later! 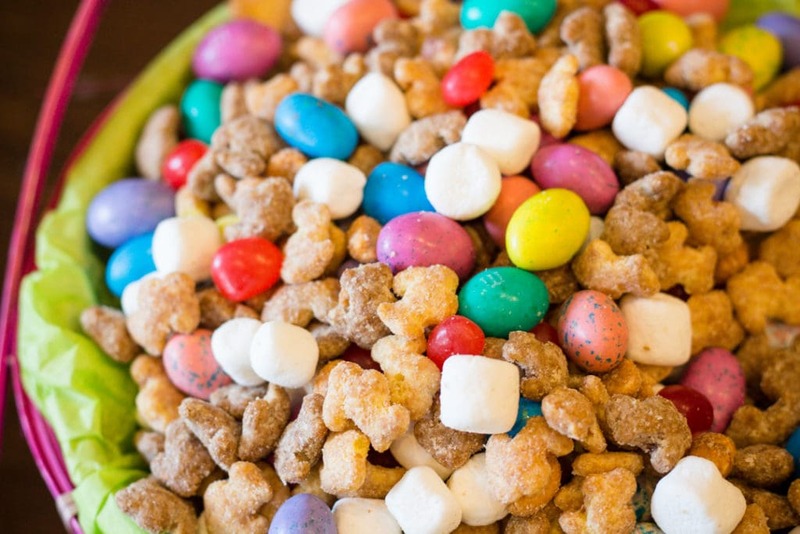 We know you love this recipe for Trail Mix so here are some more favorite Snack Mixes for you! 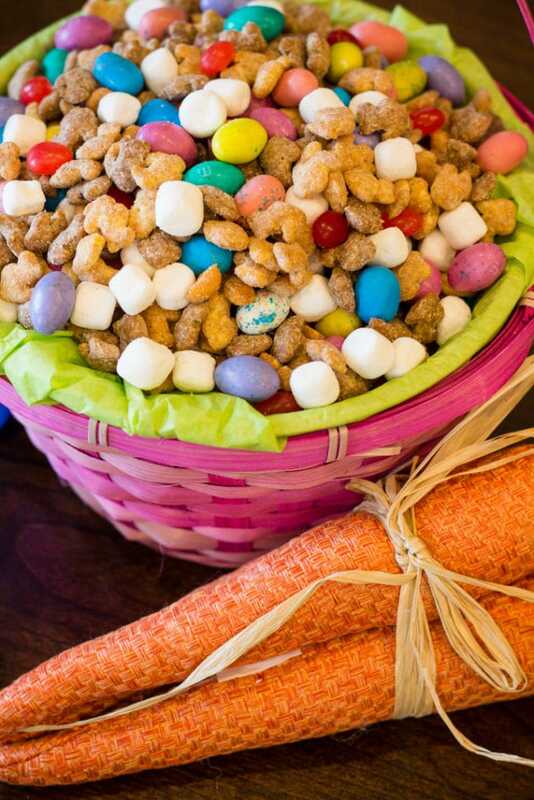 It's Spring, grab your bag of trail mix and head outside with this great Easter Snack Mix. Your sweet and salty cravings will thank you!